Sensei Idir Bahamid has introduced KIMAA students to the kata Naihanchi. The video of Naihanchi is available below for students to watch as a supplement to training in class. Naihanchi is a widely practised kata in Okinawa, other parts of Japan and many styles of Karate. Kyokushin founder Sosai Mas Oyama trained in both Shotokan and Gōjū-ryū and knew this kata. Shihan Lipman has an old video of Sosai performing Naihanchi. 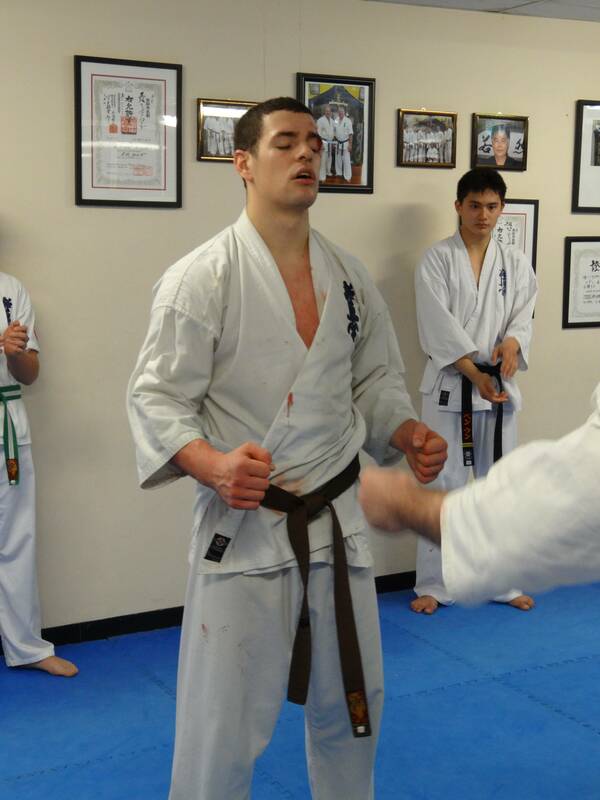 Although Naihanchi was not formally incorporated into the mainstream Kyokushin syllabus, Shihan Lipman has introduced the kata for Shodan level KIMAA students. This allows KIMAA students to learn a traditional kata with much history behind it. Click here to see a photo gallery of Sensei Idir training in his youth, as he demonstrates the power of Karate. Shihan Des Paroz, 6th Dan in Shorinjiryu Karate, was invited to teach an introductory seminar for the Jō, a four foot staff. 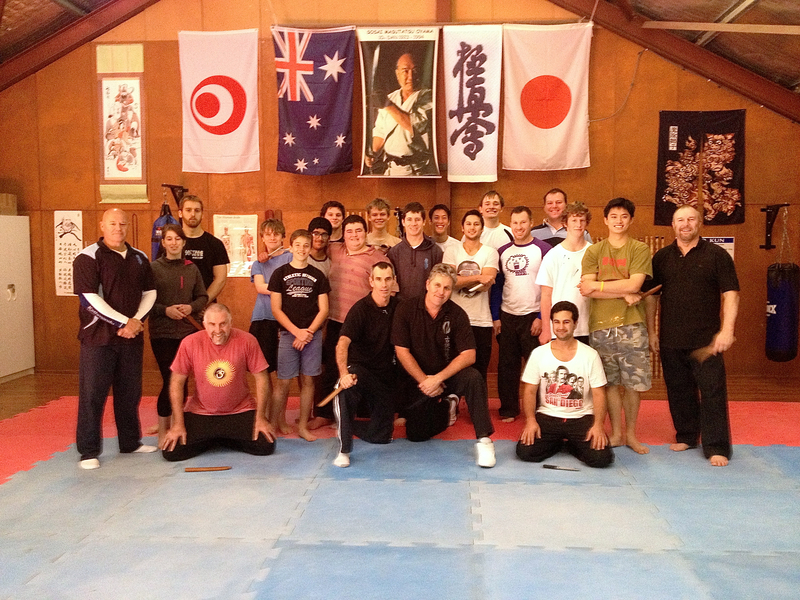 Assisting Shihan Paroz was Sensei Chrissy Hanley. The morning class introduced students to the basic handling of the weapon and how it varies from using the six foot Bo staff. A lot of attention was given to how the Jō is a mid-range weapon, allowing greater versatility than a staff like the Bo, which is largely limited to long-range. 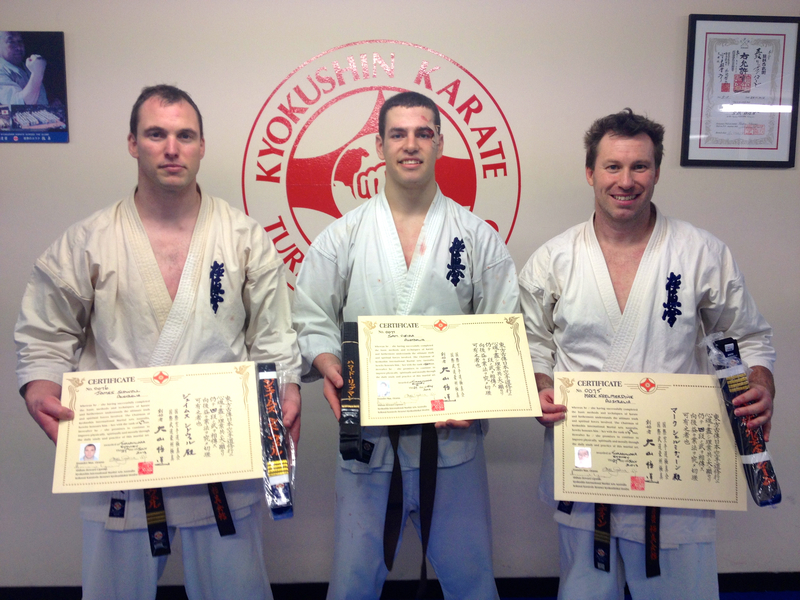 The class progressed onto bunkai and Kudaka No Jō, a kata. It was a successful morning and the KIMAA Kobudo students will be able to build on these basic techniques and exercises in their fortnightly classes, exploring further applications and combinations of weapons (e.g. Bo vs Jō). 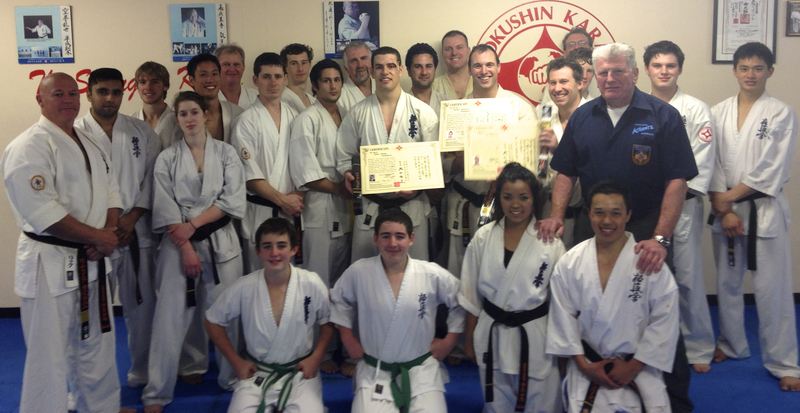 KIMAA extends its warm thanks to Shihan Paroz and Sensei Chrissy for their time.